Describe innovative uses in wood building design strategies employed in three high-profile projects across applications, including commercial, multifamily, and mixed use. Define the aesthetic, environmental, and structural strengths of wood as a building material. Discuss a wide range of challenges and benefits of using wood materials, products, and strategies in the construction of modern building projects—including those related to cost, labor, and code compliance. Explain the main focus of the overall design and construction process behind each of the highlighted projects. 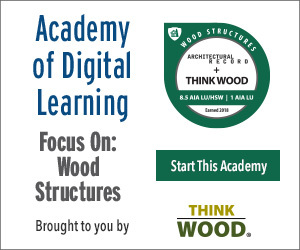 This webinar will explore innovative uses of wood in building design, profiling three unique projects across applications (commercial, multifamily, mixed use), each of which embodies the aesthetic, environmental, and structural strengths of wood as a building material. The presentations will touch upon such topics as designing innovative and repeatable mass timber commercial structures, code compliance, meeting construction costs, challenges of tight labor markets, as well as wood’s role in advancing sustainable, healthy, and beautiful spaces. 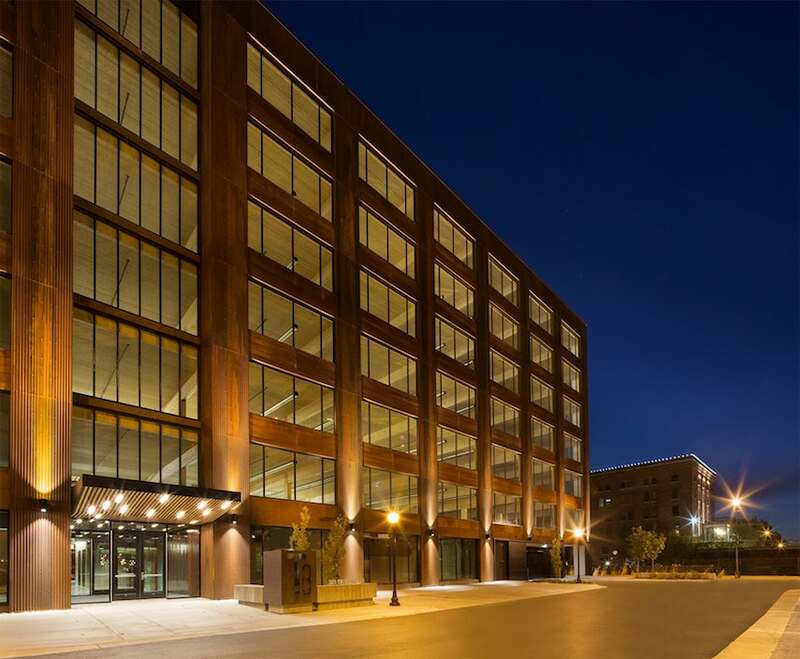 Steve Cavanaugh, AIA, principal at award-winning DLR Group, will provide an overview of timber, technology, and transit (T3) projects, including the 20,000-square-foot T3 North Loop building in Minneapolis, which is the largest mass timber building constructed in recent U.S. history. Nick Seglie, AIA, LEED AP, senior design architect at Gensler, will present on MOTO, the 64-unit mixed-use boutique apartment building in Denver, which offers a unique wood design. The project, built with wood to aid in speed of construction and aesthetic appeal, was recently recognized by WoodWorks as a 2017 Wood Design Award winner. Cost: What tradeoffs, if any, are required achieve design excellence using wood? In the featured projects, did using wood add costs that needed to be recouped in other areas of the project, or did it actually reduce overall costs? Drivers: Did the owner request a wood building, or did you, as the architects, propose it? If the latter, what led you to suggest a wood design? Steve Cavanaugh, AIA, LEED AP, is an architect, principal, and design leader based out of DLR Group's Chicago studio. He has spent his 30-year career designing complex, technically challenging building projects. As a design leader, Steve helps chart the course for the firm's sustainability goals, in particular DLR Group's adoption of the 2030 Challenge. His hands-on approach and attention to detail has benefitted many clients and resulted in many award-winning projects, including two contemporary, ground-up, mass timber office buildings for international developer Hines. Nick Seglie, AIA, LEED BC+D, has a professional background that includes architecture, interior architecture, and urban design. His passion is producing thoughtful, inspiring designs while working in collaborative environments. Nick shares as much enthusiasm for outdoor activities as he does for design, preferring meetings to be on the slope or trail. Think Wood is a leading education provider on the advantages of using softwood lumber in commercial, community and multifamily building applications. We introduce innovators in the field to our community of architects, engineers, designers and developers. For support or resources, contact us at info@ThinkWood.com.